The Eighteenth Judicial District Commission on Judicial Performance unanimously recommends that Judge Dana Elizabeth Murray BE RETAINED. 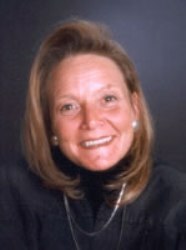 Judge Murray was appointed as an Arapahoe County Court judge in the Eighteenth Judicial District in August 1992 and took her place on the bench in October 1992. In 2013 she was appointed as the Arapahoe County Presiding County Court Judge. She earned a Bachelor’s Degree from Colorado College in Colorado Springs and her law degree from the University of Denver, School of Law. Judge Murray served as a County Court Magistrate from July 1989 to October 1992. Judge Murray served as a Deputy District Attorney for the Eighteenth Judicial District from 1986 to June 1989. In the past Judge Murray has coached High School Mock Trials teams and served on several Supreme Court Committees. Judge Murray conducts herself in a highly professional manner. She treats all parties with dignity and respect. She is efficient and manages her docket very well. Her knowledge of the law is excellent. She is calm, listens to all parties, is fair, and consistent when handing out a sentence. She handles traffic and misdemeanor cases. The Commission finds that Judge Dana Murray is an excellent and experienced judge who should be retained on the bench.